We were pleased to have been able to arrange a Workshop at the Norfolk Record Office at the end of last month. The 18 people who attended were drawn from those who had registered an interest in researching paths to be claimed as rights of way before the infamous cut off for claims based on historical evidence on 1 January 2026. 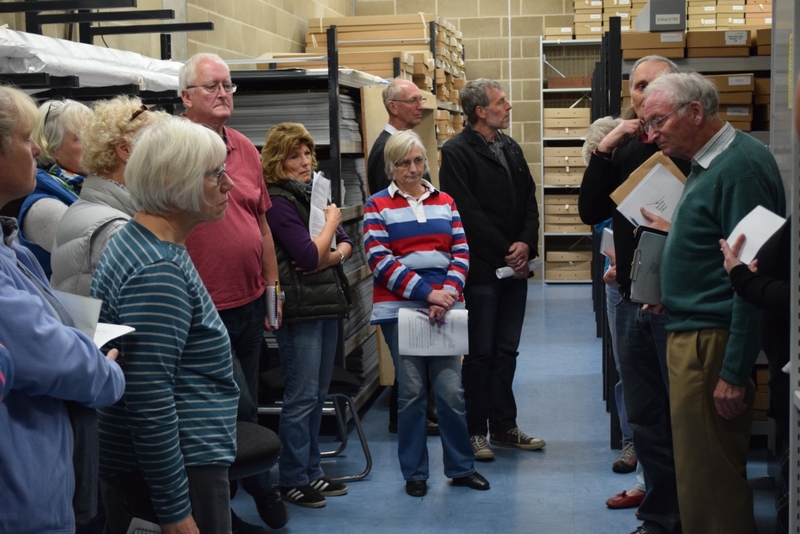 After responding to questions, and having further information added by our own Ian Mitchell, we were taken to the public searchroom and shown how to order original documents. 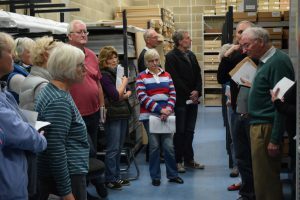 We then went into one of the strongrooms (to which the public is not normally admitted) to see where the documents are stored, before returning to The Green Room, where a range of relevant documents had been laid out for inspection. 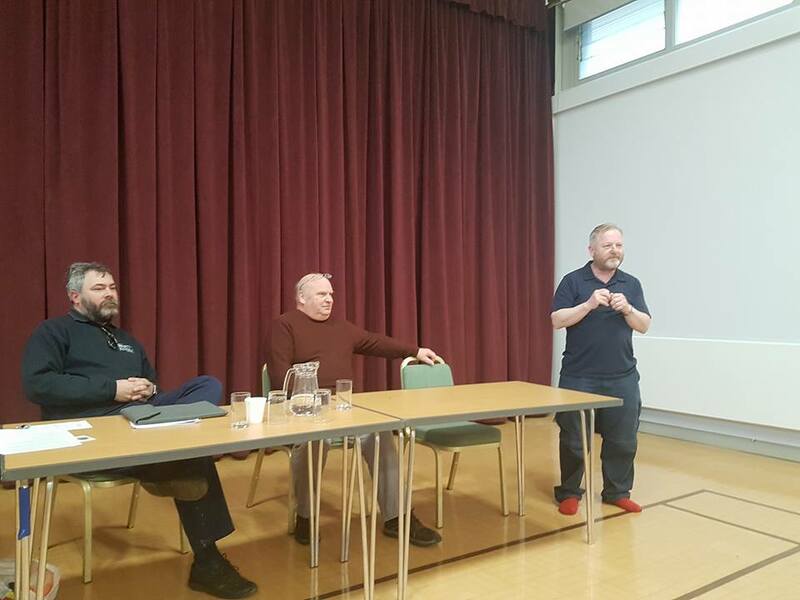 That process also provided opportunity for a lot of detailed questions and exchange of views between small groups of individuals. 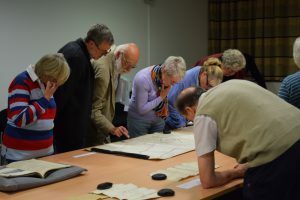 Our thanks go to Gary Tuson and his staff at the NRO for providing this session, and in particular to the Education and Outreach Team (Victoria Draper, Kären Gaffney and Claire Bolster) who arranged the workshop, looked after us so well on the day, and also provided the photographs reproduced here. 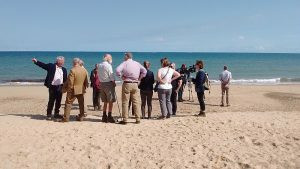 People in Norfolk are one step closer to being able to walk around the entire England coastline as Natural England have announced today (1 September 2017) that work has started on every stretch of the England Coast Path. 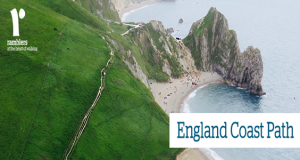 “This is a huge milestone in the story of the England Coast Path and one we should celebrate. Building sandcastles on the beach, dipping toes in the sea and taking a stroll along clifftops are favourite activities that cross generations and bring us all together. At almost 3,000 miles long, the path will stretch around the entire English coastline. 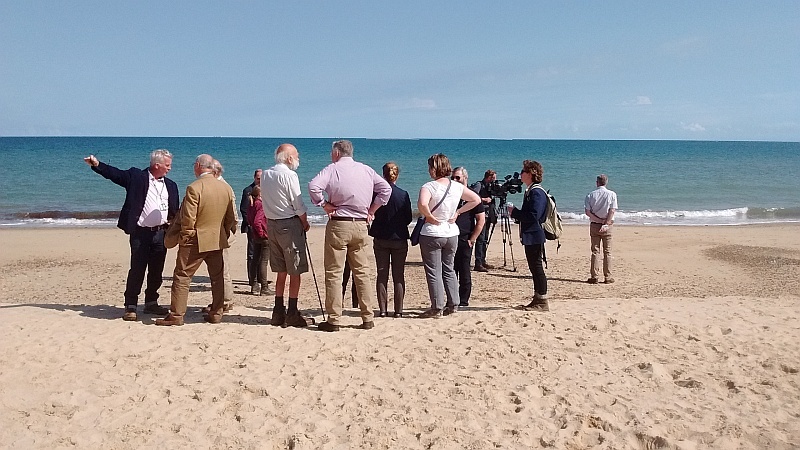 Not only will this open up new paths, it will create new areas of open access land so people can freely explore headlands, cliffs and beaches, right up to the water’s edge. The Dereham Times has published an article featuring the work done by Dereham Walkers are Welcome and the Ramblers in making paths more accessible. 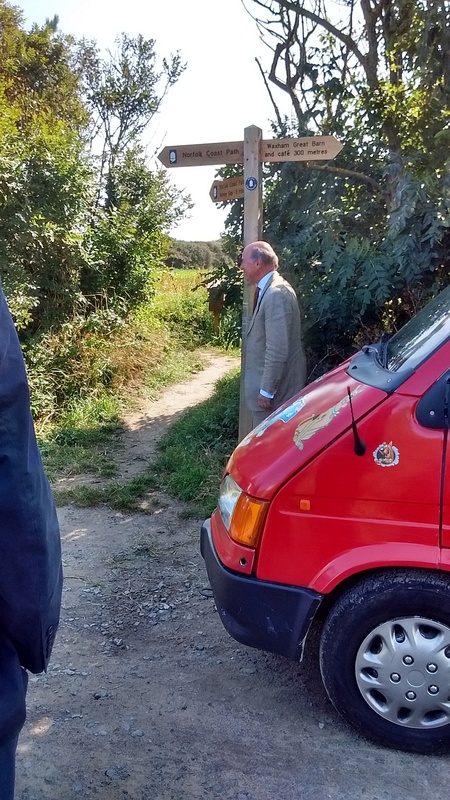 It also makes reference to the plaques that have been put up to improve the signage on the route. 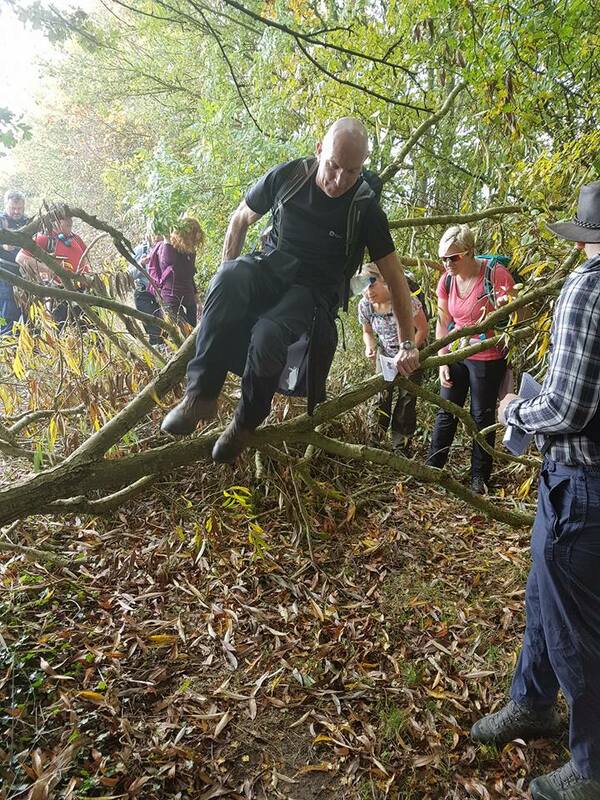 Peter James, pictured above in the article, is fast becoming the poster boy for Norfolk Ramblers with all the publicity his path clearance is generating! He helps run numerous path clearance teams where volunteers go out and clear overgrown paths to make them more accessible. The full text of the article is also available on the EDP’s web-site. 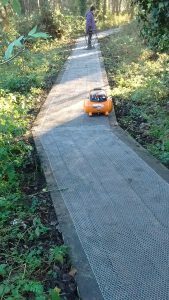 Got a problem with a path? Please report it! 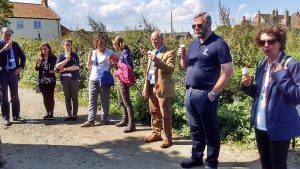 Summer is here (mainly), and so is the season of rampant crop, nettle and bramble growth, when walking can become more difficult on some paths. 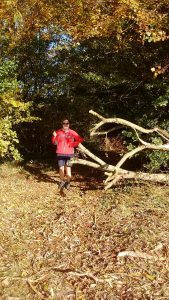 I suspect most of our members will have experienced repeated problems with certain paths. They may have reported them to the Council. They also may have done this on several occasions and given up doing so as they felt that little or nothing seemed to happen. This, though completely understandable, would in my view be a mistake. 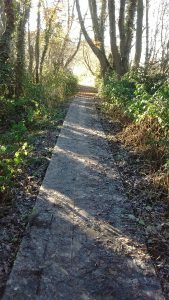 From April this year, Norfolk County Council restructured the departments dealing with rights of way and those other routes supported by Norfolk Trails. The new structure, brought in at least partly because of pressure from The Ramblers and colleagues in CPRE, Open Spaces Society and U3A, is still settling down, and it is too soon to have a full appreciation of how it is working. But there are already signs of improvements and benefits. 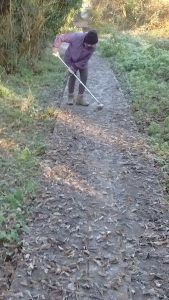 The most obvious change has been the appointment of three Countryside Access Officers, with specific responsibilities for public rights of way. Not only do these augment the previous two people holding equivalent positions, but they have been moved from their central positions in County Hall, to be based in defined geographical areas, and so be close to the nettle face. 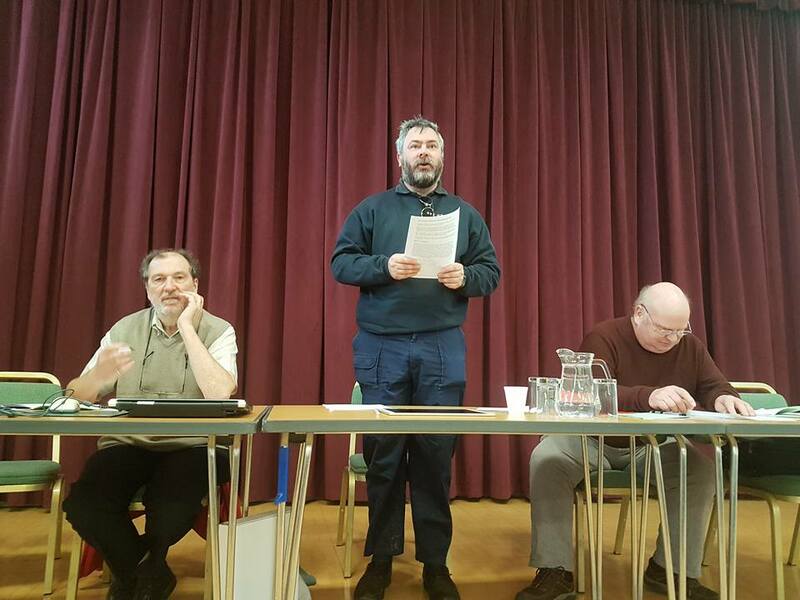 David and Sarah are the previous centrally based officers, while Jody is a new appointment. 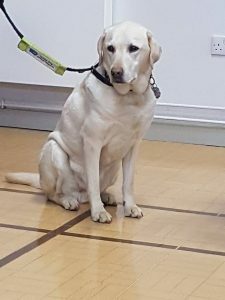 As my own area is Breckland, I have already met Jody twice and a very positive experience it has been, even though she is still getting to grips with the role. Which brings me back to my starting point. 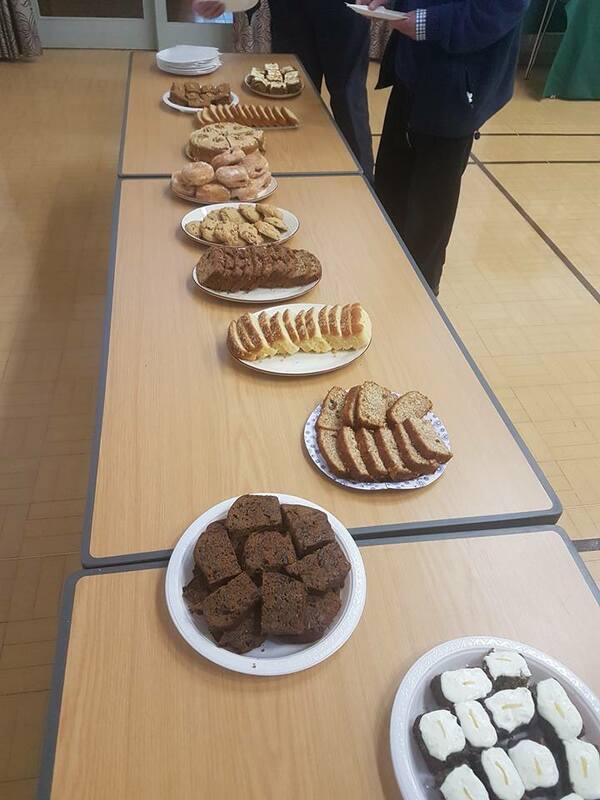 However enthusiastic and hard working the officers are, what sways management and councillors tends to be statistics. If the figures seem to suggest there are few problems, it will be assumed that current resources are fully adequate. It is therefore vital that all problems are reported; and if nothing happens, follow it up. And if still nothing happens, consider making a complaint. If you have access to the internet, this is the best way to report and monitor problems. Go to http://maps.norfolk.gov.uk/highways/#, zoom in to the area concerned until the paths become visible, click on the one which has a problem, and choose Report a problem. You will be invited to set up an account. You don’t have to do this, but if you do, you will get updates on what is being done about your report. It has to be admitted that these updates are not particularly informative, but they are better than nothing, and we continue to make representations to have the system improved. 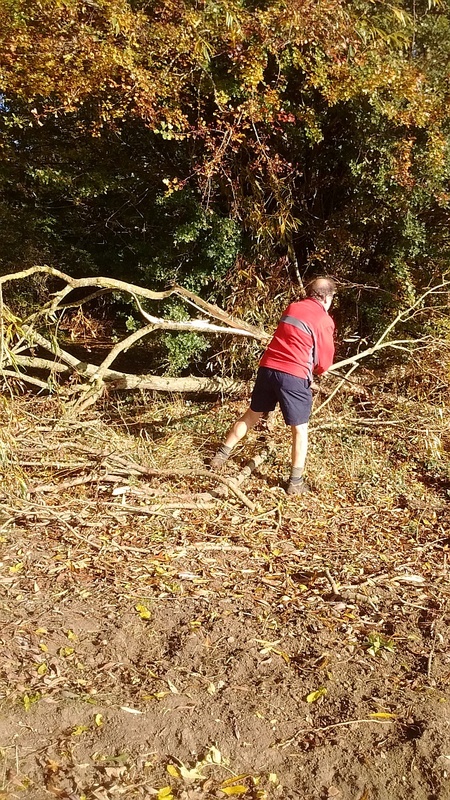 It will also help if, when you are aware of a change in the situation (eg the path cleared, or a route cut through a crop), it will help NCC colleagues if you also report this – and a word of appropriate thanks never goes amiss. 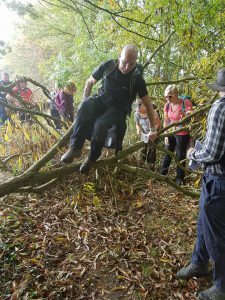 Some of you may be using The Ramblers’ Pathwatch app: by all means continue to use this, but please be aware that this is no substitute for making a direct report to the Council. Pathwatch data comes out only at intervals, and in a format which is not easily compatible with the Council’s systems: under time pressure, you can guess how much effort might be made to decode what is being reported. Enjoy your walking – but please report all problems. Brambles Beware! Path Clearance in Dereham. As is well known, Spring is the growing season. Unfortunately for walkers, growth is not restricted to those nice flowers in your garden, but also includes rampant growth of brambles and nettles across public rights of way. In Dereham, two paths are particularly prone to this – Restricted Byways 30 and 31. 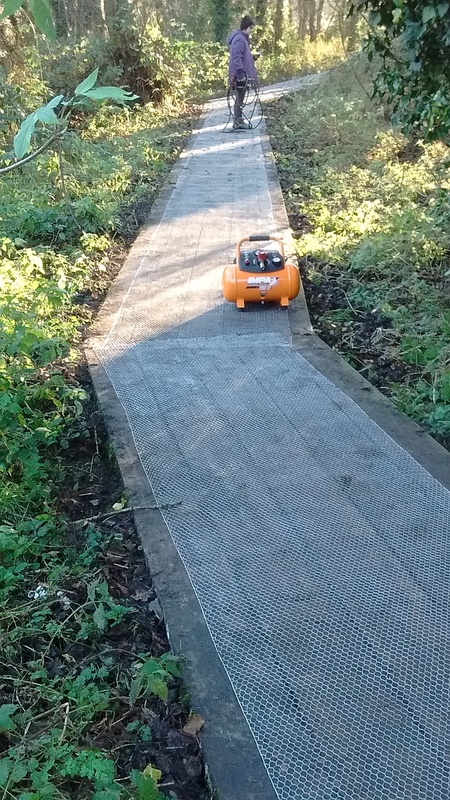 These carry the legal right for horse and carriage drivers to use them between Neatherd Moor and Northall Green, but at their best, they are currently suitable only for walkers, cyclists and horse riders. 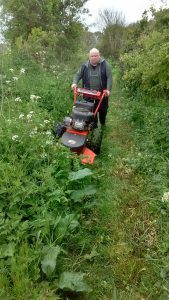 And even those users can find their way blocked by nettle and bramble growth, so to tackle this before the route became impossible, Dereham Walkers are Welcome and The Ramblers together cut the paths on 3 May. 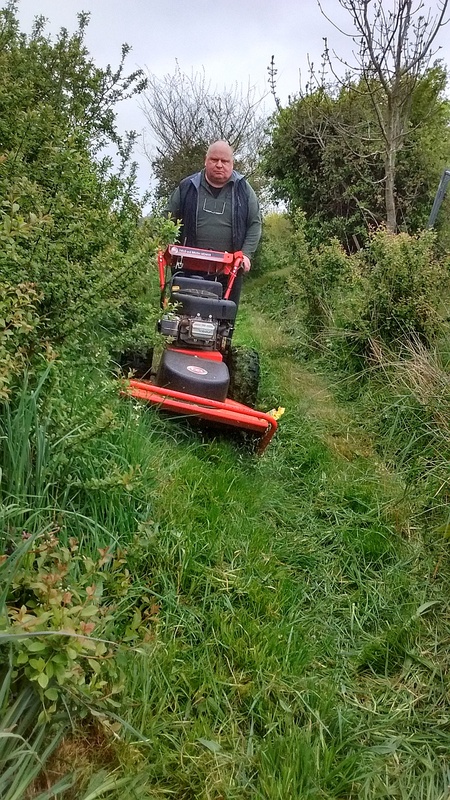 Peter James, the Area Treasurer, laying new protective covers for the path, from a previous path clearance day. 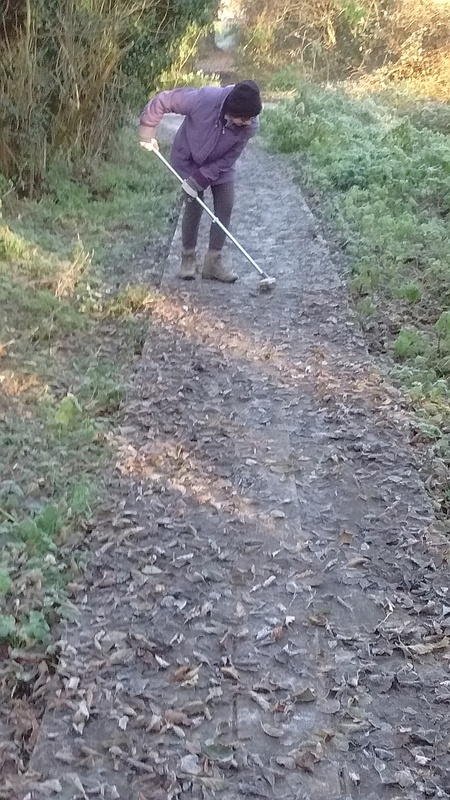 On a fine but frosty day, Peter James was out once again, but this time without path cutting equipment. 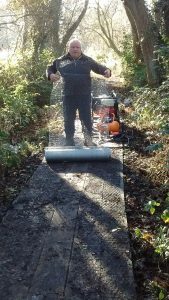 Instead, he was geared up with generator, compressor and staple gun to renew 50 metres of decaying wire mesh on the boardwalk at Scarning Fen in Dereham (Footpath 14a). Once the equipment had been carried on site (a small job in itself), Ken and Catherine Hawkins scraped off the old wire netting – and the frozen on leaves – and Peter followed up installing the new wire mesh. It was gratifying that a number of people using the path stopped by to say ‘thank you’ for the work being done. Four hours later, and the mesh was down and ready for use. 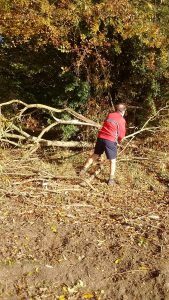 We’re always keen to get more volunteers for path clearance work, it’s good exercise, great for the local community and also fun! 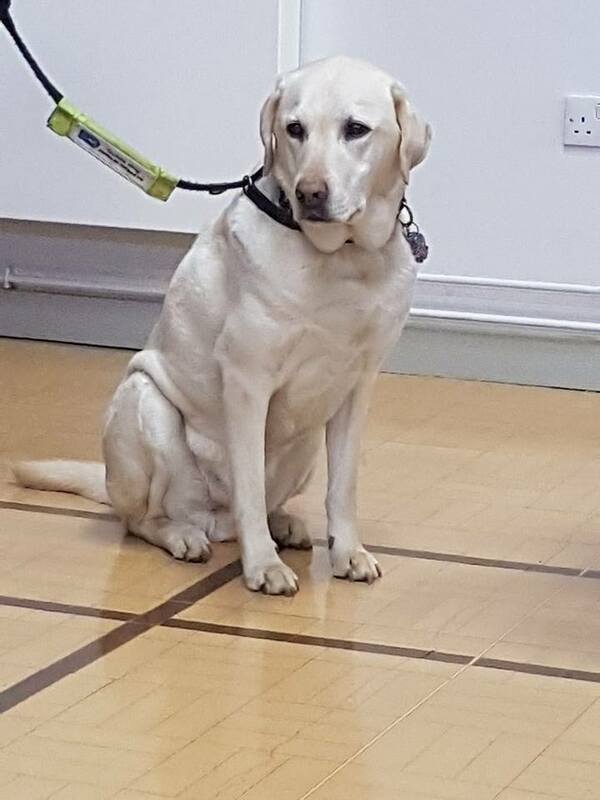 We have lots of equipment available to use, and we’re also keen to hear from anyone who has blocked paths near to where they live. 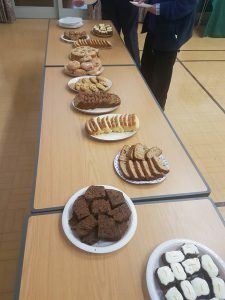 Please do contact us (we love hearing from people! ), our details are available at http://www.norfolkra.org.uk/. 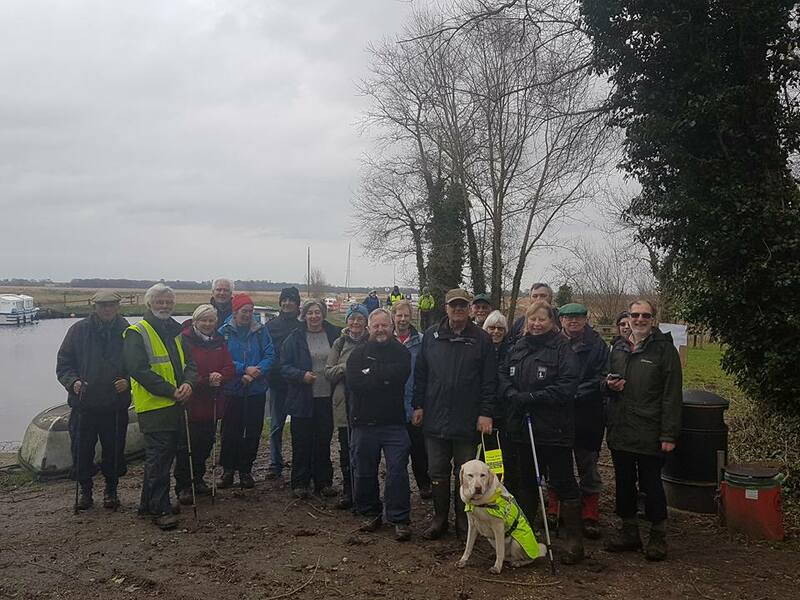 Norfolk Area Ramblers and the Open Spaces Society have today published a news release calling on Norfolk County Council to do more about the state of our county’s paths. 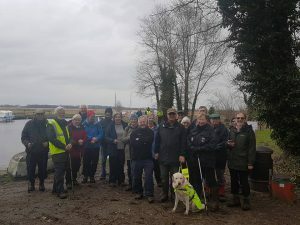 The Ramblers and Open Spaces Society have today called for Norfolk County Council to take action to improve on its poor reputation in maintaining and promoting its rights of way network. Only a few weeks ago, the Council celebrated the opening of the latest stretch of the England Coast Path, from Hopton on Sea to Sea Palling. At the opening, the Chairman of the County Council, David Collis, joined Lord Gardiner (Parliamentary Under Secretary of State at the Department for Environment, Food and Rural Affairs) and Andrews Sells (Chairman of Natural England) to tell the gathered audience about the great benefits that walking – and the availability of footpaths – brought to the whole community: individual benefits in physical and mental health, and economic benefits to the county. The Ramblers – who agree entirely with this – wondered then why the same considerations did not apply to the rest of the county’s 2400 mile public rights of way network. We wrote to the Chairman to ask about this, pointing out that the Council as Highway Authority has a duty to assert and protect public rights of way in Norfolk. Since then, the results from the 2016 Highways and Transport Network Survey have been published . 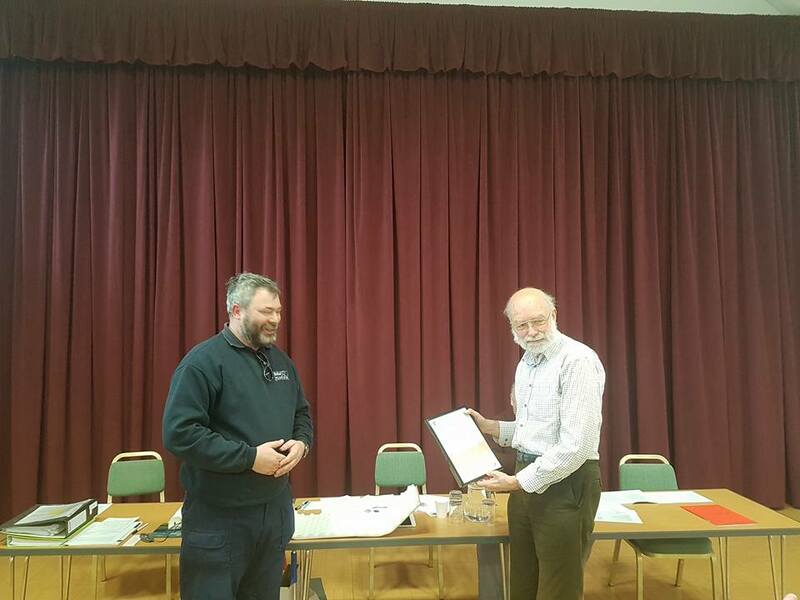 The Council is rightly pleased that, for the third year in a row, it has been in the top 3 of 28 similar counties for Highways and Transport matters overall. 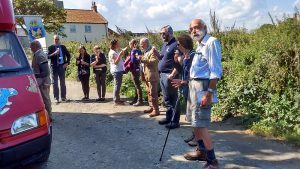 But it overlooked the fact that, also for the third year in a row, it is in the bottom half dozen for ‘Satisfaction with public rights of way’ – this year being 25th out of 28. 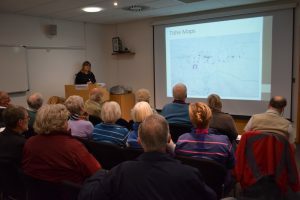 The Ramblers and Open Spaces Society have therefore put a question to the meeting of the Council’s Environment, Development and Transport (EDT) Committee on 11 November, to ask: If Norfolk is serious in aspirations to promote itself as a preferred tourist destination, public satisfaction scores should be brought towards the top of the list. 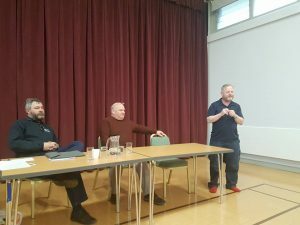 Will the Committee refer this as a significant concern to the LAF* and ask them to bring forward proposals, or does the Committee have other proposals to address this? 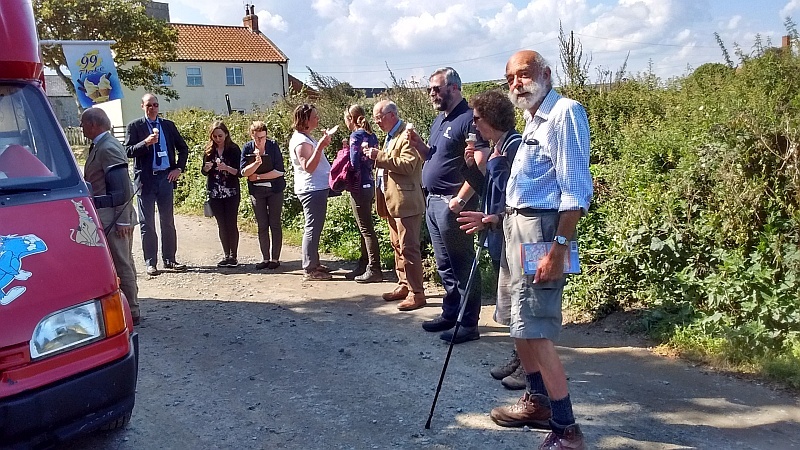 Norfolk has an amazing network of public rights of way, but fails to promote and maintain them, and thereby fails to secure the health and financial benefits that are there in return for modest investment and effort. We hope the EDT will take an initial step to change this. 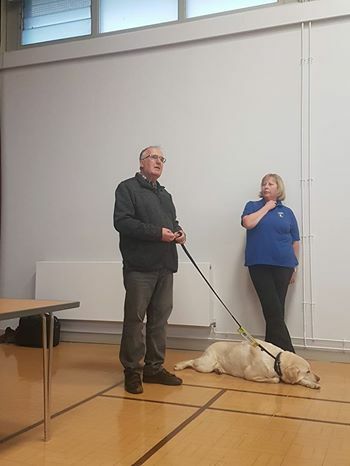 Ken Hawkins will be attending the meeting of the EDT at 1000 on Friday 11 November to hear the response. For further information, please contact Ken Hawkins on 01362 691455 or 07505 426750. 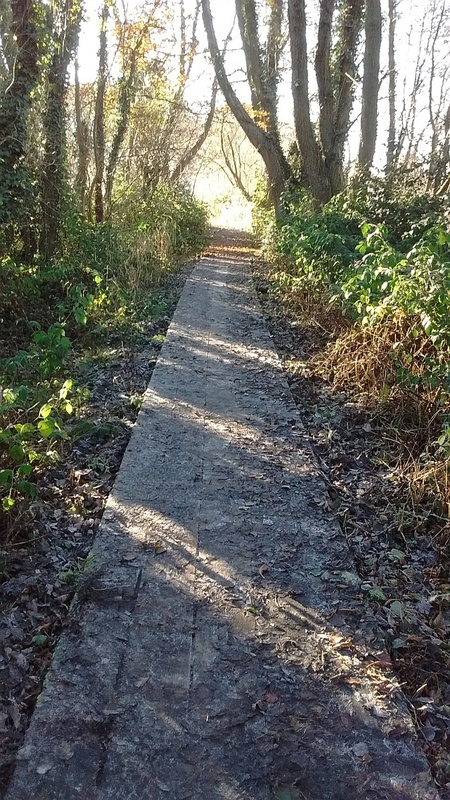 *The LAF is the Local Access Forum, which represents a variety of countryside interests with regards to improving public access across our beautiful county, and provides independent strategic advice to the County Council and others where there are issues around public access – see https://www.norfolk.gov.uk/nlaf. Going, Going Gone – Dereham Footpath Warden Unblocks Route! Julian White, from Hike Norfolk, led a walk around Dereham on Sunday which was attended by fifteen walkers. 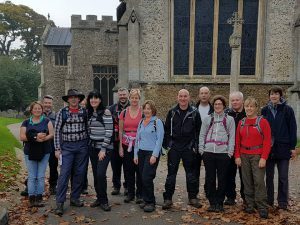 The interesting walk went past Borrow Hall, the former Jolly Farmers pub, Bishop Bonner’s Cottage and St. Nicholas Church. 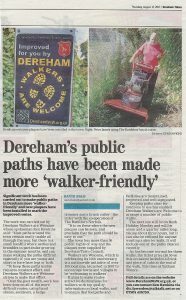 Ken Hawkins, who had initially been behind the creation of the walks, is the Dereham Footpath Warden and Norfolk Ramblers Area Secretary and on hearing about the obstacle he promptly went to ensure that it was removed for anyone else wanting to walk the path. Thanks to Ken for such a fast response!